Hordijk, A, Schweitzer, P.J, & Tijms, H.C. (1975). 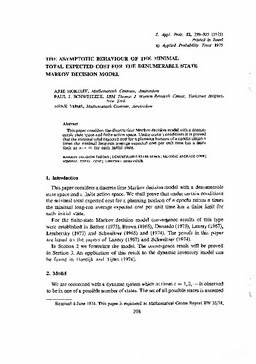 The asymptotic behaviour of the minimal total expected cost for the denumerable state Markov decision model. Journal of Applied Probability, 12(2), 298–305.